Certified divers taking part in a dive trip will be asked to show proof of diving certification issued by PADI or any equivalent organization. In case a customer fails showing a valid diving certification a confirmation email or a web-based online proof from the issuing organization will be required. All certified divers must fill in and sign a PADI International Liability Release and Assumption of Risk Agreement prior to the boat departure. All students must fill in and sign a PADI International Liability Release and Assumption of Risk Agreement and a PADI Medical Statement prior to any in-water activities. A 20% deposit will be required in order to secure any online booking. The outstanding balance must be paid before first day trip. Silent Divers reserves the right to modify or cancel any trip due to, but not limited to, unsafe weather conditions, technical difficulties or any other unpredictable cause. This may involve a change in the destination and/or the dives site election. In the event Silent Divers cancels a trip customers will have the right to either reschedule their trip at no extra cost or to receive a full refund. No refund will be issued in the event a customer doesn’t show up, for any reason, at the scheduled starting time and place of the dive trip or course. Cancellations received by us 7 days before the commencement of the first day trip/course are eligible for a full refund, minus any bank charges, credit card charges and any exchange rate losses if any incurred. The 20% deposit paid during any online booking will NOT be refundable in case a cancellation is received less than 7 days before the commencement of the first day trip/course. In the event of an online full payment cancellations received more than 48h before the commencement of the first day trip/course will be eligible for a 75% refund and a 100% refund if cancellations are received 7 days before the commencement of the first day trip/course. In the event of an online full payment cancellations received less than 48h before the commencement of the first day trip/course NO refund will be given. Silent Divers holds a comprehensive diving insurance which covers our customers in the unlikely event of a diving accident whilst taking a trip/course with Silent Divers. Silent Divers is member of the SSS Chamber Network in Samui which gives us access to the recompression chamber located next to our pier. Nonetheless, customers are strongly encouraged to get an insurance policy that covers all the activities they will be undertaking during their holydays in Thailand. Silent Divers, its officers, employees, agents and contractors cannot be held responsible, or in any way liable, for property losses, personal losses, accidents, injury, or death for any reason whatsoever, whether through any activities booked through us, or caused to you buy third parties connected, or not connected to us. We will not be liable, for any additional expenses incurred by customers, for any reasons whatsoever. If a complaint is received about a trip, for any reason, Silent Divers will agree to investigate and may act upon the complaint dependent upon our findings. At Silent Divers we know how important for you your holidays are and we want to make sure you get the most out of them. That’s why all your online bookings get at least a 10% discount! You just need to book what you want to do and when you want to do it and we will take care of everything. Check out our online booking discounts and get the most out of it! Discounts are only applicable to online bookings made at least 10 days in advance before the day of the trip/course. A 20% of the full price will be charged as a deposit. The amount discounted will be deducted from the amount due. Online booking deposits are non-refundable. 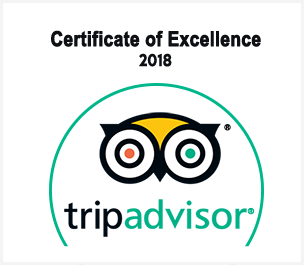 In order to keep or upgrade the online booking discount any change in the booking must be notified by the customer 10 days in advance before the day of the trip/course. An extra 5% discount will be applicable to customers bringing their own scuba equipment. Private charters and courses on the GoPro section are not eligible for early booking discounts. Our instructors will take pictures of you and your family/friends during your trip/s with Silent Divers. Pictures will be uploaded to our blog, from where you can download them for free, within the next few days after your trip/course is over. 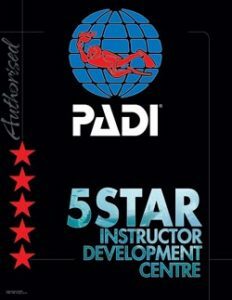 PADI instructors are not allowed to carry any camera or recording device while conducting a PADI program/course. In the event you are taking a PADI program/course and you would like to have a photo report of it please enquire. We can arrange an underwater photographer for you. Our intructors’ main duties and concerns are your safety and enjoyment. In the event we suffer bad sea conditions such as bad visibility, strong currents or any other situation of any kind requiring special attention from our instructors, the photo report might be obviated or the number of pictures reduced without any previous notice.